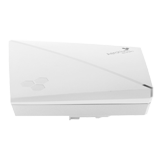 AEROHIVE NETWORKS AP130 Enterprise access points provide a seamless transition to 802.11ac. With more users, more devices, more things, more applications, and strained infrastructure and budget, the AP130 is a powerful option to meet those challenges. Aerohive has built an AP for pervasive Wi-Fi prepared for ultra-high density environments, powerful enough to provide all the services needed for an enterprise network, and inexpensive enough to deploy for ultra-high capacity networks. The AP130 combines 2×2, 2-stream, 802.11ac Wi-Fi technology and advanced security and device lifecycle management together into a cost-optimized solution that allows you to deploy high speed Wi-Fi into every office or classroom. Combining Aerohive innovative distributed Cooperative Control architecture with the powerful HiveOS operating system, coupled with the ability to provide full functionality on legacy PoE infrastructure, the AP130 maintains the Aerohive standard for cost-effective solution pricing that allows enterprises of all sizes to deploy capacity-oriented Wi-Fi networks. The AP130 provides an enterprise-class experience for all types of mobile devices, including legacy Wi-Fi types. 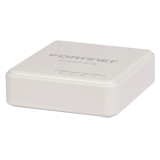 The AP130 provides high-performance data rates up to 876Mbps in the 5-GHz band. It supports dual concurrent 2.4Ghz 802.11b/g/n and 5Ghz 802.11a/n/ac radios. Pervasive access – thousands of new devices, used in more places, storing more data, on new device types- BYOD, Consumerization of IT, wearables and IoT, high performance Wi-Fi, very-high client density, industry and government regulations, advanced applications and services – are no longer the exclusive domain of the large enterprise and are pretty much required by every organization. 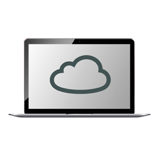 Companies of all sizes must accommodate every user laptop, personal devices, and in the very near future lighting, security, air conditioning, and other connected devices. The AP130 with the latest HiveOS incorporates the advanced software features required by every organization, including an integrated RADIUS server, DHCP server, Captive Web Portal, and automatic mesh for wireless network redundancy. Add the simplified management experience with Aerohive HiveManager, including auto-discovery and AP130 auto-provisioning experience, flexible network policies and AP-specific configurations and you get a powerful solution for any enterprise that’s simple enough for any deployment. Upgrading your network to 802.11ac DOES NOT require you to upgrade your existing PoE infrastructure. Our advancements in energy efficiency allow the AP130 full 2-stream 802.11ac performance while using existing 802.3af PoE infrastructure. Improvements to the radio management protocol allow adding more access points to the network, such as an AP in every classroom for schools. AP130 features a thin, lightweight, sleek design for a very clean install. A TPM chip (Trusted Platform Module) provides hardwarebased key and configuration encryption for added security. The AP130 supports granular location tracking for devices and a complete Application Visibility and Control functionality, including reporting, stateful firewall, and powerful Aerohive Quality of Service (QoS), which assures prioritization of the data traffic and data rate limits for different users, groups of users, and devices. The Aerohive Mobility Suite featuring Client Management, ID Manager, and Social Login applications take advantage of Aerohive’s HiveOS that runs on the AP130 and extends management and control with simplified onboarding, management, and troubleshooting with context-based visibility, policies, and enforcement for the entire spectrum of client devices.